These capabilities are going to take YEARS of coding to achieve and will require MILLIONS of lines of code to pull off. That said, they are what will bring the robot to life and make him practical and useful. I'd like the robot to be able to mow my lawn and weedwack the edges. I'd like the robot to be able to maintain a flower and vegetable garden. Perhaps a fruit tree or two as well. 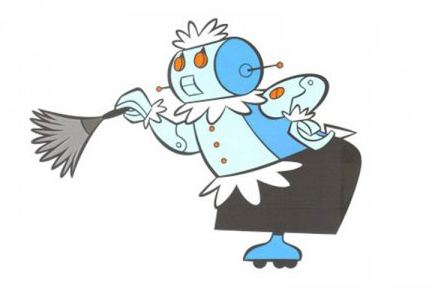 I'd like the robot to be able to take out the trash, cook, and clean the house. Also do the laundry, fold and put away the clothes. I'd like the robot to be capable of doing dancing because it would be hilarious and wildly entertaining. It would make for some viral video opportunities on Youtube as well. Plus, it would form the ideal opportunity to test the robots balancing algorithms and make the robot's inverse kinematics very advanced, fluid, and graceful. I'd like the robot to be capable of receiving voice commands and having basic conversational skills. It would not be able to have true deep conversations, but would have some minimal conversational capabilities for amusement and companionship reasons. It will also have the ability to lipsync as it speaks through speakers in the mouth. In addition, it will be able to make a full range of facial expressions which will be done via motors inside the head pulling on strings that run to the various parts of the face underneath the silicone skin of the face and pull on the skin to make the skin warp in the way that the muscles of the face would normally pull on the skin of the face to control facial expression. I'd like the robot to be able to manufacture some products that I sell online and also be able to box and ship orders when they come in. (He would place the box outside the front door and schedule a USPS pickup). I'd like the robot to be able to paint paintings and upload time-lapse videos of these paintings being created to Youtube. He would also be able to livestream doing paintings on Twitch.tv in front of a live audience. I can also sell these paintings online or in a gallery. These are some of my most exciting ideas. I have many more ideas, but this list need not be comprehensive. More to come!